Last night’s episode of Being Mary Jane dumped a bucket of ice cold water on the characters, jarring them into reality. It all starts off so romantically as Andre and MJ enjoy each other’s company over a candlelit dinner. But then Andre confronts MJ about her nostalgic moment with David at the gala: “Are you screwing him? Am I his replacement?” He throws it in her face that he is breaking apart his life to be with her and she tells him that his sucky marriage should really be the impetus for that, not her. They stand there dank-faced and silent, outfitted in their rough sack-cloth, listening as the plantation’s overseer instructs them on how to properly cut sugarcane. 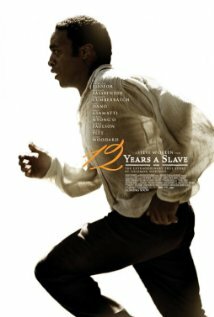 “12 Years a Slave”‘s opening scene portrays the banality of plantation life – slaves being taught how to work the fields had to have been a mundane sight for those who lived in that time. But Platt’s (formerly known as Solomon Northrup) eyes, veiled with grimness, reflect the true horror of the scene. Behind his mournful gaze, one can almost see the atrocities that await him as a slave.